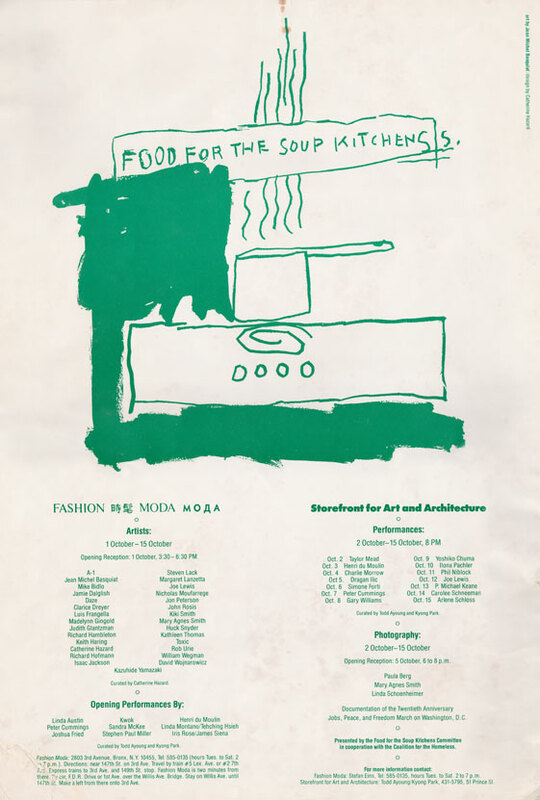 “Food for Soup Kitchens,” exhibition and performances at Fashion Moda and Storefront for Art & Architecture, poster, 1983; designed by Catherine Hazard featuring art by Jean-Michel Basquiat, offset print, 12 x 17 ¾ in. Detail showing damage in lower left corner. Jean-Michel Basquiat created a special drawing for the “Food for the Soup Kitchens” benefit exhibition held in 1983 at Fashion Moda in the Bronx and the Store for Art and Architecture in downtown New York. 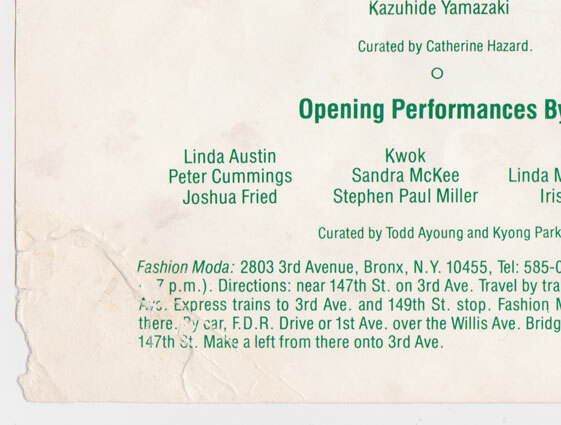 Bassquiat’s drawing is featured on the rare poster that Catherine Hazard the curator of the Fashion Moda section of the show designed to advertise the exhibition. In addition to Basquiat participating artists included Daze, Richard Hambleton, Keith Haring, Carolee Schneeman, Kiki Smith, David Wojnarowicz.